The cortical cords consist of a double row of columnar cells that stain a bit paler and have a small, round dark nucleus. 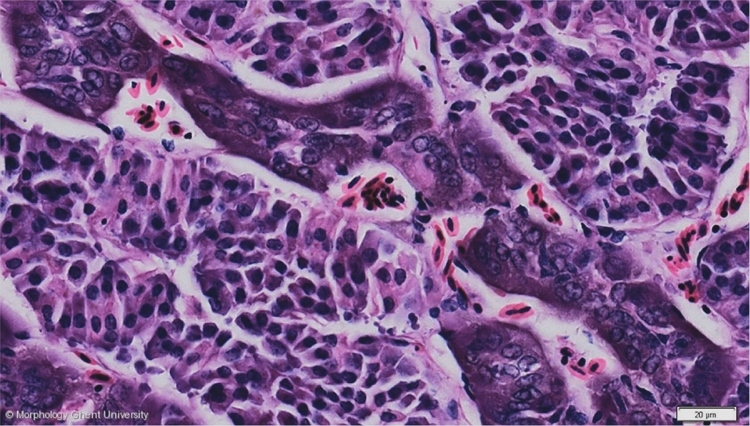 The cells of the medullary cords are large polygonal cells with darker basophilic cytoplasm and a big pale nucleus with one or two clear nucleoli. The ratio cortical/medullary cord is variable and depends on multiple factors such as breed, age, health and environmental factors.